Need some inspiration? EasyLunchboxes Containers are perfect for packing yummy lunches for school, work, or travel. BPA-Free • Easy-Open lids • Not Leakproof. 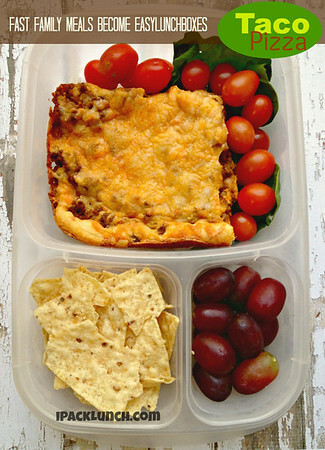 Get social - Share your lunches online with #easylunchboxes so we can feature them! In our lunch box: Taco Pizza. YUM!! You'd love this for lunch too, right?